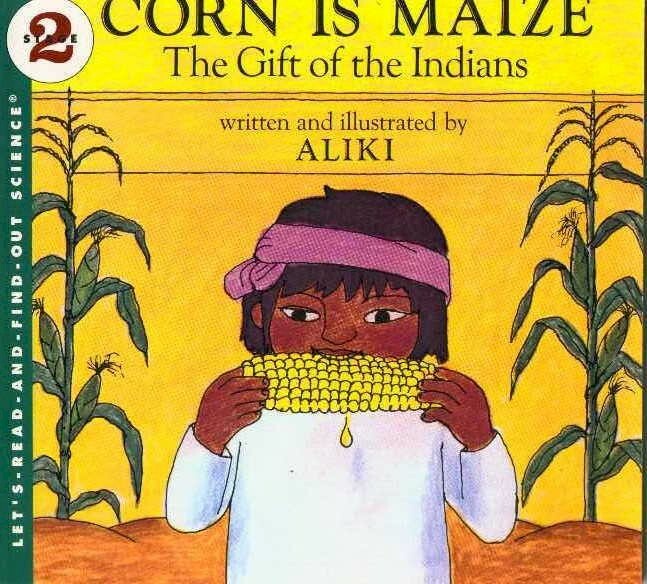 Description: A easy-to-read story about the science and role of corn, or more correctly maize, in the life of South and North American Indians and the Europeans who received the Indian's life-sustaining gift. 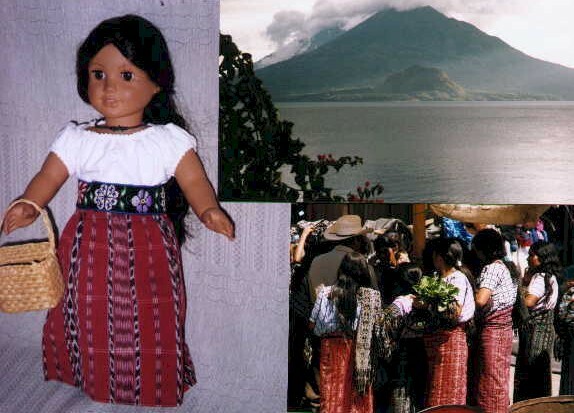 Aliki's easy reading style and fun pictures hide a wealth of scientific and cultural information. The next time you take a bite from a golden ear of corn - you'll have a whole new appreciation of where it came from. 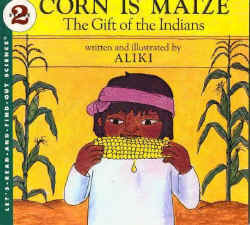 While not mentioned in the book --- Mayas traditional tales say that the Gods made the people from corn and thus they call themselves "People of Maize".